For the past two years, I’ve written an account of all the projects I completed throughout the year. Doing so helps me see how much I’ve actually accomplished. Here’s 2017! 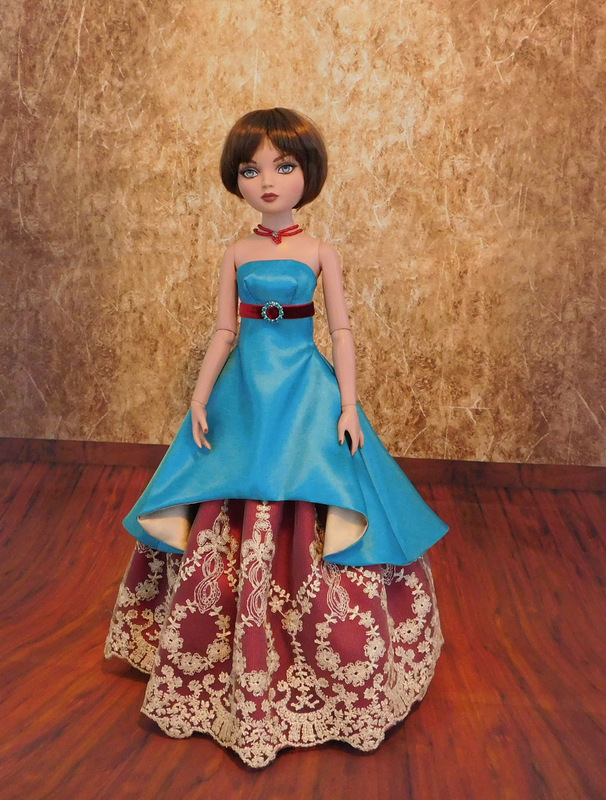 This was the first outfit I designed for the 16″ Ellowyne Wilde doll. 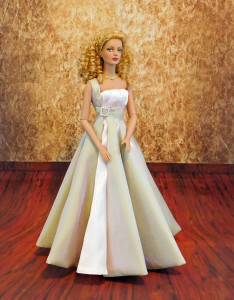 It’s a formal gown, with a gold satin and tulle petticoat, a crimson satin underskirt overlaid with pale gold lace, and a cascading overdress of gold-shot turquoise taffeta, lined with light gold satin. There’s a dark red velvet ribbon fastened around the empire waist, with a turquoise rhinestone slider to accent the center-front. I made the matching necklace, as well. 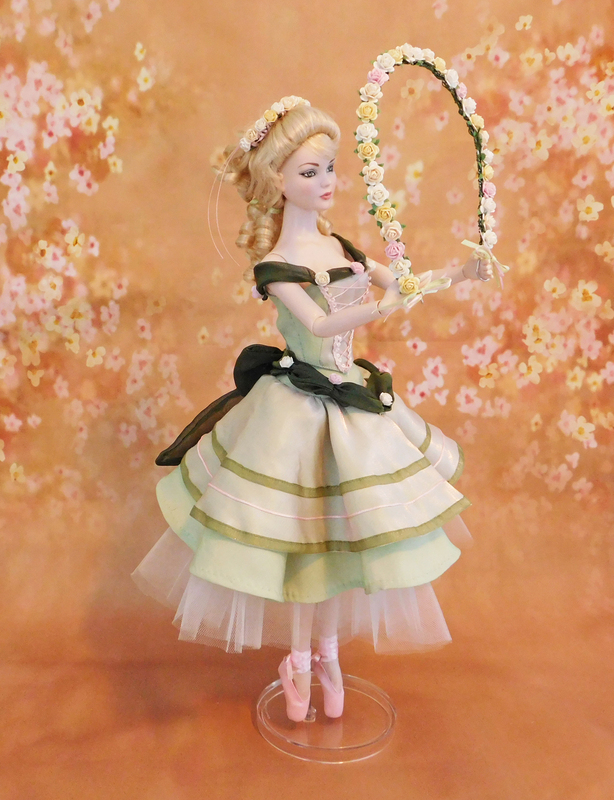 Fourth in my series of doll-scale reproductions of Phantom costumes, this is the mint green and pink ballet costume from the mock-opera “Il Muto.” It’s worn by Tonner’s 16″ Nu Mood Jess doll, fitted with tip-toe ballet feet. 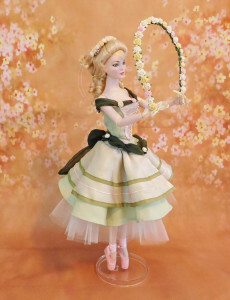 The outfit consists of a yoked, layered skirt and a bodice embellished with pink criss-cross lacing. Olive green silk chiffon drapes across the shoulders and around the hips. Both draperies have miniature rose accents. This is the second example I made of one of my early doll patterns. 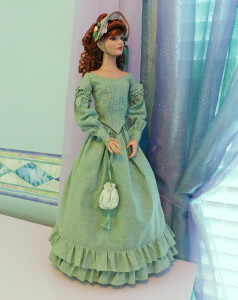 It consists of a pale pink underdress with a gathered empire bodice, and a one-shouldered overdress made of iridescent pink-green satin. It’s worn by 16″ Tyler Wentworth. 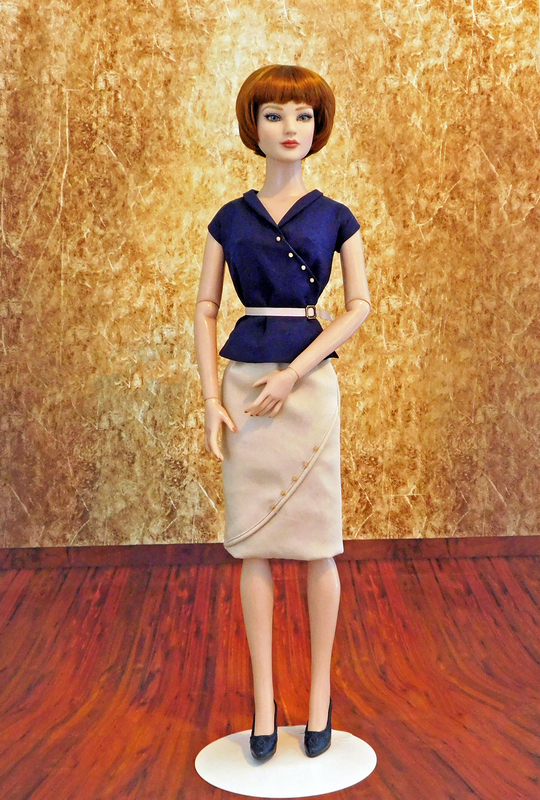 Inspired by a surprisingly modern-looking blouse in a 1931 copy of Vogue’s pattern magazine, I designed this outfit for Tonner’s 22″ American Model doll. It includes a lined faux-wrap pencil skirt with a diagonal piping detail, non-functional button accents, and a miniature zipper closure. 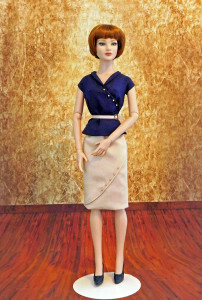 The blouse is cap-sleeved, with a mock-shawl collar and a coordinating belt. This outfit started as a steampunk ensemble for the 16″ Ellowyne Wilde doll, but it ended up being more modern-with-a-punk-edge, rather than true steampunk. It consists of a lavender ruffled skirt worn under a gray plaid wrap skirt, a sleeveless lavender blouse with ruffled collar, a cropped hoodie in gray plaid, and gray knit jersey mitts. Before designing a doll gown from the 1830s, I first needed the proper underpinnings. 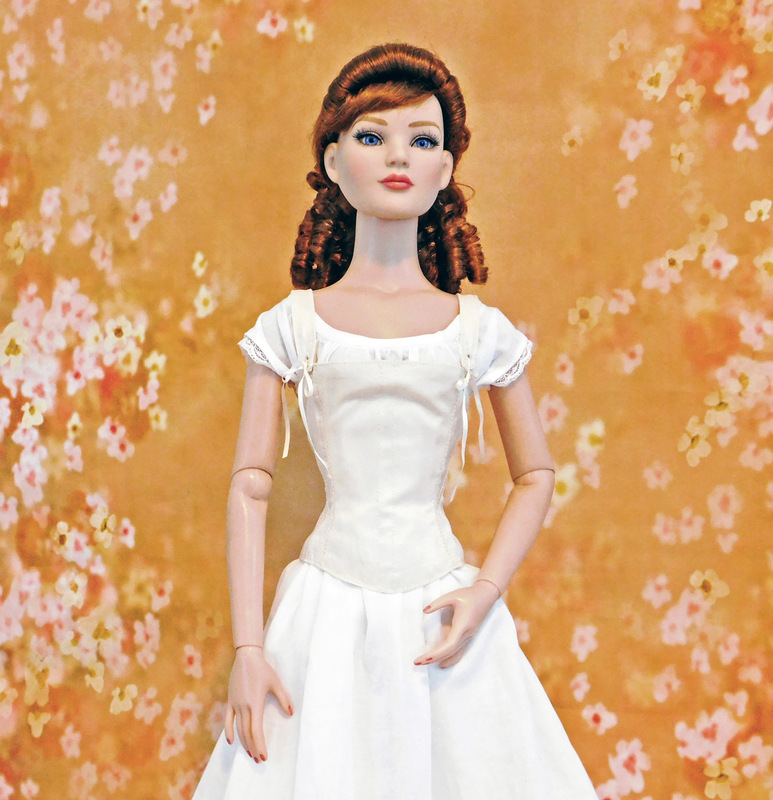 I began with a corded petticoat to support the skirt, then went on to make a chemise, drawers with pintucks and lace edging, and a period corset, all inspired by extant garments. They fit Tonner’s 22″ American Model. 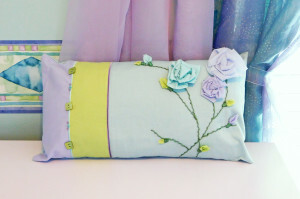 I wanted a new back pillow for my sewing chair, but I somehow forgot that it would be squished behind me, so I got a bit fancy with it. 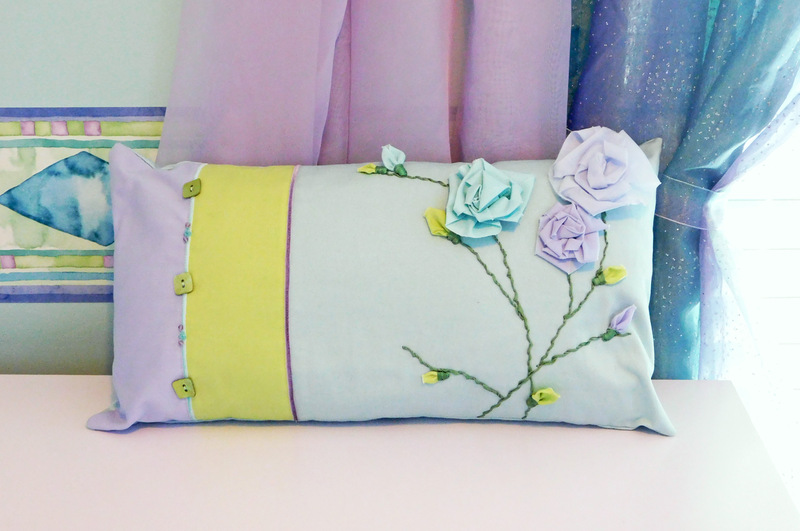 It’s color-blocked to match my sewing room—aqua, lavender, and lime green. There are three-dimensional fabric roses and rosebuds, with stems of silk ribbon embroidery, and accents of velvet ribbon and buttons. Over the summer, I worked on several full-sized costumes. The first is an outfit described in Margaret Atwood’s dystopian novel The Handmaid’s Tale, which was recently made into a TV show. 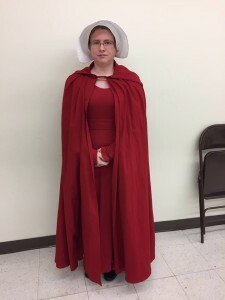 There’s several pieces to this costume: a crimson ankle-length, long sleeved, rayon knit jersey dress; a matching cotton cloak; a cotton slip; tan tissue-knit spats; a white muslin coif; and the hallmark white winged cap. I also made a messenger bag of white twill. For the first time ever, my husband asked me to make him a costume—specifically, that of a Jedi Knight. It consists of a cream linen tunic, a blue mock under-tunic (dickey), blue tabards, which drape over the shoulders and hang past the hips in front and back, plus an ivory obi that fastens around the waist, securing all the layers. Unfortunately, by the time the Star Wars film premiered, the outfit no longer fit my husband (he’d lost weight). Therefore, I don’t have any photos of it. 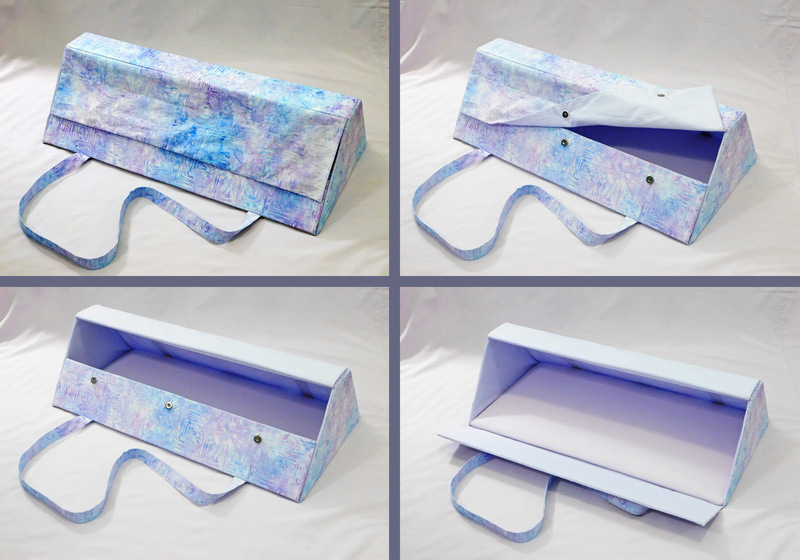 I needed a safer way of carrying my 22″ fashion dolls, so I started experimenting with carry-case designs. After a few disasters, I came up with a triangular case. (Well, technically it’s a trapezoid, but it was a triangle until I chopped the top point off.) It’s made of foamcore sandwiched between layers of fabric, with magnetic snaps to fasten the front panel, and straps to carry it with. The bottom support is a removable wooden board, thickly padded with batting. 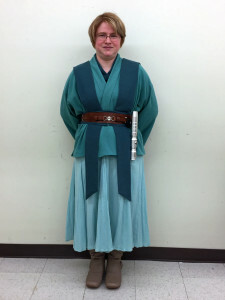 In honor of the new Star Wars movie, I made myself a Jedi costume to wear to the premiere. It’s usually pretty cold in December, so I layered knit jersey pants under an aqua cotton gauze skirt that I made several years ago. The rest is all new pieces: a teal mock under-tunic (dickey), dark aqua tunic, teal tabards, and a teal obi. To finish the costume, I added a pair of taupe boots and a custom leather Jedi belt. I also made warm cloaks to go with our Jedi costumes. My husband’s was light brown flannel with brown broadcloth lining the sleeves and hood, and mine was light gray fleece lined with a grayish-aqua broadcloth. Unfortunately, the cloaks didn’t really work out. Mine made me look like a giant gray marshmallow. No pics! Looking for more? 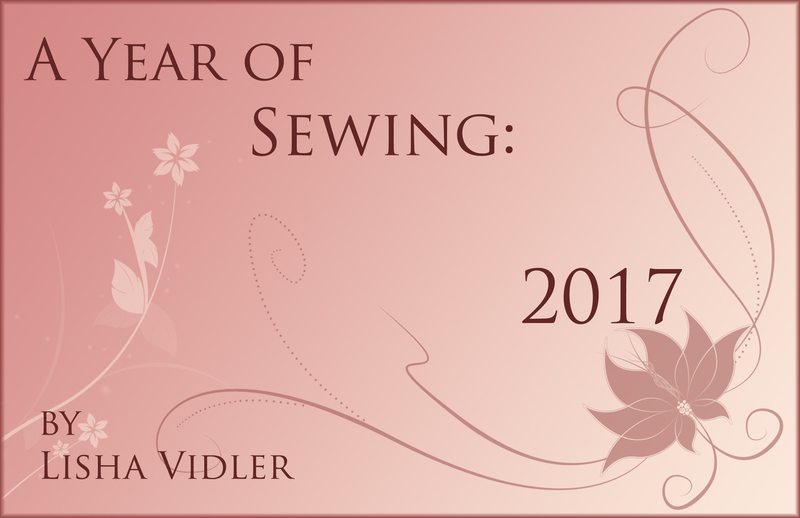 Try our Sewing Diaries.